Governance, Elections, Advocacy, and Research Services (GEARS) Initiative is concerned with the emergency of electoral violence in Sesheke parliamentary and Makomba ward by-elections. In a statement GEARS executive director McDonald Chipenzi said it was time t the Electoral Commission of Zambia counselled all participating political parties and law enforcement agencies on the provisions of the SADC Principles for Election Management, Monitoring and Observation. 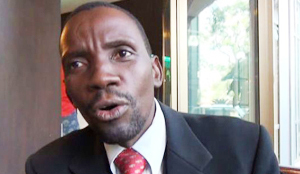 Chipenzi said the principles sanctity recommend that “there can only be a free, fair, credible and legitimate electoral process in a climate that is free from political violence and intimidation”. Chipenzi said the role of security forces like police and their presence in huge numbers had an intimidatory effect on the voters and the citizens as it instilled fear in voters and the citizens. Chipenzi called on the ECZ urgently meet with the police to discuss proper election policing strategies in these areas to avoid perceptions currently building up that police are fanning violence in Sesheke while in Makomba police are being accused of being inert. Chipenzi said the news outlets should also not hide the real truth on perpetrators of violence and has further call on police to move in and corner those persons mentioned as fanners of violence in Sesheke and Makomba. “District Conflict management Committees in these areas must be proactive than reactive to avoid conflicts in their respective areas,” he said. Chipenzi stated that failure by police to arrest or counsel those in the habit of carrying offensive weapons during campaigns as observed in Makoma would just lead to institutionalised violence in the electoral process. And home affairs minister Stephen Kampyongo has called for peaceful campaigns ahead of the Sesheke parliamentary and seven local government by-elections across the country. The Minister said campaign period is an opportunity for political parties to sale their party to the voters but not to attack one another. Kampyongo also called on political parties across the country to respect security enforcers and refrain from attacking them. He said government would not allow a situation where police officers were verbally and physically abused by some disgruntled members of the public during the execution of their duties. “Attacking police officers on duty is a direct attack on the whole service and government. These men and women in uniform are constitutionally mandated to provide security to people and property regardless of one’s political affiliation, ethnicity, color or region,” Kampyongo said. Kampyongo has since directed police Commissioners for both Eastern and Western provinces to ensure that they intensify patrols and general duties in all the affected areas to ensure that all political parties campaign peacefully. Minister’s arm treatment costs over K25 000 abroad as he ‘cuts’ debate on the matter.